With most medical conditions, there are usually varying degrees of severity. Hearing loss is no different, there are varying levels, or categories, to hearing loss. So, how do we determine which level of hearing loss an individual has? How do we differentiate between levels? More importantly, how many levels of hearing loss severity are there? Most people would answer that last question with three, however, there are primarily four different levels to hearing loss. Let’s explore each one and how they’re different from one another. Typically, those with mild hearing loss are able to hear quiet sounds between 25 and 40 decibels(dB). This means that those who suffer from mild hearing loss can pick up most sounds around them, however, can struggle to keep up with one-on-one conversation in a bustling and noisy environment. Luckily, most cases of mild hearing loss can be solved with the use of a hearing aid, but it isn’t always necessary at this level. The most prudent use of a hearing aid at this point would be to slow any progression of hearing loss before it gets to subsequent, unsafe levels and to restore your ability to understand speech in noise..
Those diagnosed with moderate hearing loss are unable to hear sounds lower than 40 to 75 dB. 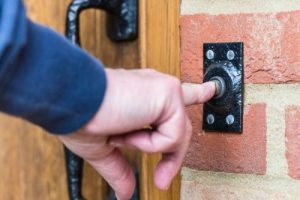 Speech comprehension can become difficult in normal conversations, and things such as a telephone ringing or a doorbell can also be hard to hear. A hearing aid can be specially programmed to help those with moderate hearing loss by picking up sounds that can be easily missed, and having the ability to also help you maintain clear comprehension of speech in conversations. People with severe hearing loss can have difficulty comprehending speech even while wearing hearing aids. Without the use of hearing aids, it is nearly impossible to hear and understand normal everyday speech. Sounds below 70 to 95 dB are unable to be heard by those with severe hearing loss. The use of high-power hearing aids may be able to help, however, other treatment options can be middle ear implants or even cochlear implants. Profound hearing loss is the most significant level of hearing loss. Those who have been diagnosed with this level of hearing loss depend heavily on reading lips, or even learn the use of sign language. Sounds less than 95 dB are unable to be heard, which means even loud sounds can be difficult to hear. 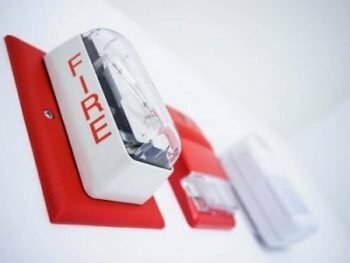 Profound hearing loss can be dangerous, as things such as fire alarms cannot be heard. The use of hearing aids are typically ineffective, however, cochlear implants have been shown to help those with profound hearing loss in speech comprehension. The four primary categories of hearing loss can be determined based off hearing loss causes and with the use of a hearing test. In actuality there are more than the 4 levels listed above. For instance, a person could be diagnosed with mild-to-moderate or moderate-to-severe hearing loss as well. However, these are the 4 primary levels audiologists use to diagnose hearing loss. Hearing loss can be life changing, and knowing which category of hearing loss you fall into is extremely important in finding the perfect solution for you. If you are experiencing any level of hearing loss, we invite you to schedule an appointment to get your hearing tested! Previous StoryIs Hearing Loss Hereditary?